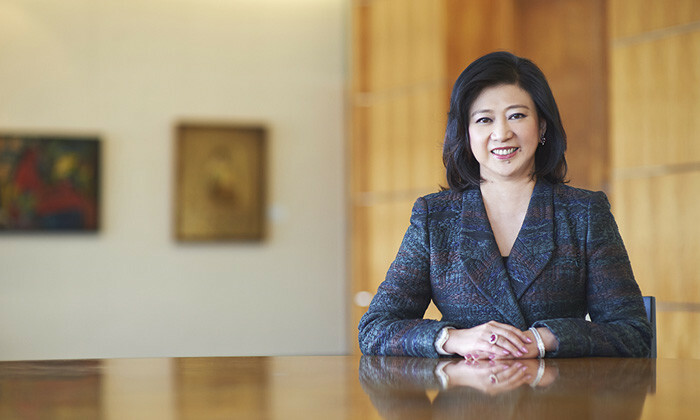 Chua Sock Koong, group CEO, Singtel highlights the persistent gender bias in today’s boardrooms and shares five things leaders in her position can do to encourage gender diversity at their organisations. I’m often asked how I’ve managed to make it this far as a woman. If I were a man of course, I would never be asked that question and no one would bat an eyelid. As most women in business will tell you, you get used to this line of questioning. But I’m concerned about what this persistent gender bias points to – the fact that not more women are in leadership or CEO positions around the world. Singtel has long encouraged an inclusive and collaborative workplace and culture. We believe that diversity is essential to building and sustaining a competitive advantage. We are a gender neutral employer and we give equal opportunities to both our male and female employees. Almost a third of our top management in Singtel are female compared to a Singapore average of 25%. If you look at the management committee of the Singtel Group, two-thirds are female. There are few comparative stats on this but we are likely to be in the minority. If you look at our Board, a third is female, compared to just 9.5% representation on boards in Singapore. We have at least one female member on our board nominations committee and we will always consider female candidates if there are board vacancies. We conduct periodical ‘health checks’ to ensure healthy gender diversity ratios. Almost a third of our top management are female compared to a Singapore average of 25%. If you look at our management committee, two-thirds are female. We have done well by women – relatively speaking. But we know it is still a work in progress. We know more work needs to be done to improve the representation of female leaders, and we have said as much in our annual sustainability report. So what are we doing to improve things? 1. We have set up a female diversity committee to combat gender bias and discrimination and educate our leaders on inclusive leadership. 2. We are also big believers in mentoring, as I’ve personally benefited tremendously from mentoring. Frankly, when I was CFO, I had to be ‘encouraged’ to go for the CEO position when it became available. So you see, I too suffered from a kind of reticence. And I don’t think this is just an ‘Asian thing’. Women tend to be less aggressive and forthright in going for the job – which is not right – because they are more capable than they give themselves credit for. This is why I encourage every leader to mentor. A good leader is like a good coach, someone who can see what his players can become, rather than what they are. Frankly, when I was CFO, I had to be ‘encouraged’ to go for the CEO position when it became available. So you see, I too suffered from a kind of reticence. 3. Besides working within their own companies, leaders can also weigh in through numerous organisations committed to mentoring women. Today, I work with the International Women’s Forum, an organisation which is devoted to bringing women together to learn, to inspire and build better female leadership. I also work with the Public Service Commission in Singapore which identifies top talent for the civil service and am a Trustee at the Singapore Management University to make sure women are getting the education they need. Remember: leaders create more leaders. Not just followers. To those of you in leadership positions today who lament not getting a mentor early in your career, it is never too late. Be the mentor that you wish you had. 4. We also believe in providing strong role models for women. We have a Women in Leadership Series which is a multifaceted strategy designed to build a durable pipeline of female talent, increase awareness and advocacy of equity goals across the organisation, and provide women with networking, coaching and mentoring opportunities. 5. That said, I know many women have had to take time from work. That is why we have put policies in place to afford women as much flexibility as possible in their working arrangements. My hope is that more companies take steps to push for more support for their female employees. And together with governments and societies at large, create an environment where women can realise their full potential in the workplace without necessarily compromising their responsibilities to family and home. The human resources minister expressed: "There are millions of workers but Malaysians always come first and we need to ensure they..